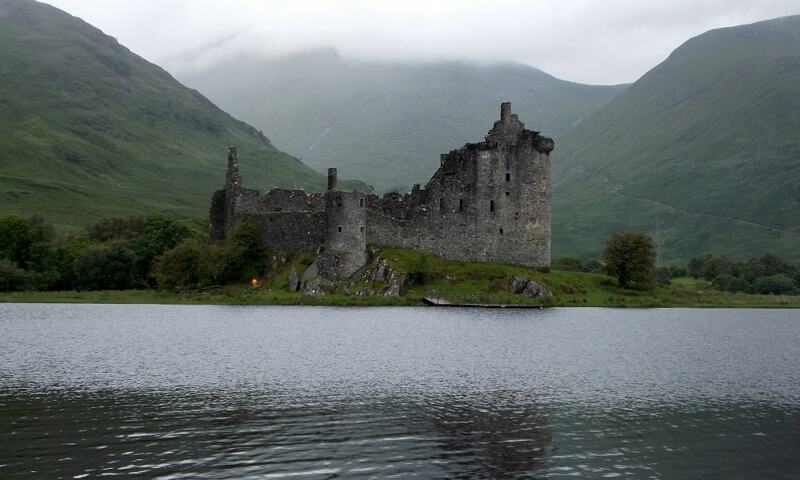 Many Scottish castles tell the story of the changing times they lived through. It is quite common to find a castle that started life as a stronghold before being converted over the years to first a comfortable, then a showcase, home: or which was abandoned in favour of a nearby fine house when the struggle of conversion became too much trouble, and defence was no longer a priority. Kilchurn Castle evolved in a slightly different way. It was built in about 1450 by Sir Colin Campbell, first Lord of Glenorchy, and it started life as a five storey tower house with a courtyard defended by an outer wall. By about 1500 an additional range and a hall had been added to the south side of the castle. Further buildings went up during the 1500s and 1600s.